Long before Jackie Robinson and Hank Aaron, African-Americans played a varied and wide role in the history of baseball. Though black ballplayers were forced to create their own teams in the 1860s, by the 1880s there were many professional teams and a few African-Americans played on white baseball teams. The first known game between two black teams was held in September 1860, at the Elysian Fields in Hoboken, New Jersey, when the Weeksville of New York beat the Colored Union Club 11–0. During the period of Reconstruction, black ball teams popped up all over the Eastern Seaboard, comprising of ex-soldiers and officers, and teams like the Jamaica Monitor Club, Albany Bachelors, Philadelphia Excelsiors and Chicago Uniques played each other and any other team that would play against them. Soon, Philadelphia, with an African-American population of 22,000, became a mecca for black baseball, where two former cricket players, James H. Francis and Francis Wood, formed the Pythian Base Ball Club, which was promoted by legendary ballplayer and civil rights activist Octavius Catto. 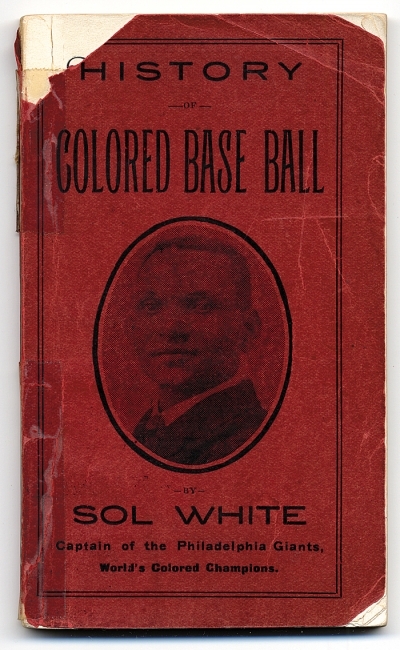 Segregation barred the black ball teams from joining the National Association of Base Ball Players, and they were dependent upon semi-pro white teams to keep in condition and make a living, but “Blackball” thrived despite these hardships. To Have and To Hold, by Mary Johnston, was the bestselling book of 1900, and it’s not hard to see why — it’s awesome. It’s the same sort of book as Janice Meredith: adventure, American colonial history, etc. To Have and To Hold just has more pirates and, I don’t know, general craziness. I kind of love it. To Have and to Hold is set in the early years of the Virginia colony, and follows the fortunes of Captain Ralph Percy, one of the earliest settlers. He’s not wealthy and he’s not politically important and he’s not a real historical figure, but he’s friends with all of those who are. For example: at the beginning of the book, Pocahontas has been dead for three years. Percy remembers her fondly, is best friends with her widower John Rolfe, and respects her brother Nantauquas more than any of the other members of the Powhatan tribe. Although — well, that’s not saying much. Percy has a high opinion of the Indians’ cunning, but a low opinion of their honor. The story begins when Percy, mostly unwillingly, takes part in a sort of mail-order bride arrangement and ends up married to a young woman who is clearly more than she professes herself to be. How much more isn’t clear until the arrival by ship, some weeks later, of my Lord Carnal, the King’s favorite. He reveals that she is Lady Jocelyn Leigh, a ward of the King. The King wanted her to marry my Lord Carnal, but she hated him, and so she ran away. And it’s hard to blame her, because my Lord Carnal isn’t very nice, and Captain Percy is, and clearly she will eventually fall in love with her husband. But first, adventures! Ralph’s servant Diccon, with whom he has an extremely prickly relationship owing to that one time when Diccon tried to kill him. Jeremy Sparrow, minister, former Shakespearean actor, and good-natured hulking giant, who has appointed himself Ralph’s new best friend. Somewhat inconveniently, my Lord Carnal. Fortunately they manage to leave behind my Lord Carnal’s sidekick, an Italian doctor who is much given to a) lurking, and b) poisoning people. Then: shipwreck, pirates, a makeshift courtroom scene, jail, lots of Indians, and an assortment of atmospheric descriptions of scenery. There’s enough plot for, like, three different adventure novels here, but none of it feels gratuitous, or hastily tacked-on. Except perhaps the end. Ralph Percy really doesn’t like Indians. And I like the characters, too. Jocelyn should be profoundly irritating, and sometimes she is, but in a human kind of way, rather than a tying herself into knots in order to obey the constraints of the story kind of way. And Ralph Percy is lovely and self-deprecating and heroic, and while Jeremy Sparrow comes out of nowhere and all of a sudden everyone is like, “Oh yeah, I remember seeing you in Twelfth Night,”, I don’t mind, because being a pious minister and a big, burly adventurer at the same time is tough, and he makes it work. I’m less enthused about the villains. My Lord Carnal is disappointingly one-sided, and I can’t really see the point of his creepy Italian poisoner sidekick. But I loved how they all — minus the creepy Italian poisoner — went off on piratey adventures together. I started this book thinking it was going to be a miserable slog, but once I got a few chapters in, I couldn’t put it down. It’s nice to be able to agree with all of those book-buyers of 1900. Read To Have and to Hold at Project Gutenberg. Visit Melody’s blog, Redeeming Qualities for more vintage reviews and commentary! Riding costumes were introduced in the 16th century, after which women wore clothing and accouterments which were built for safety and style. 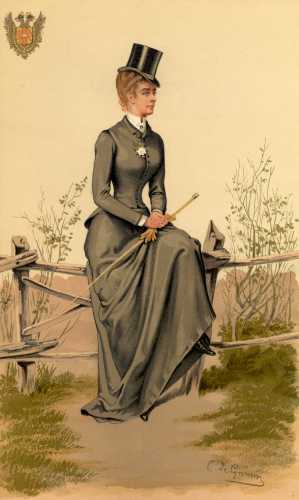 The line of a woman’s riding habit mirrored that of everyday fashions until the 1880s, when the severe, tailored, almost masculine cut of the habit, adorned with a top hat and veil, and cravat, became the fashion. 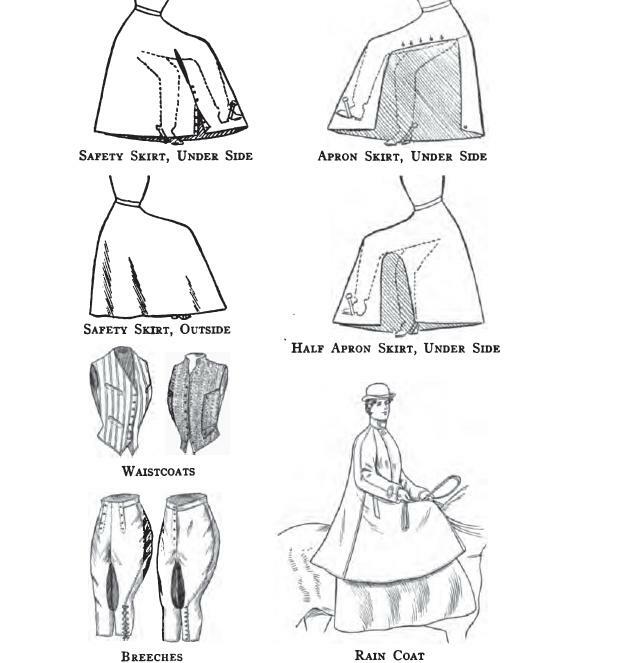 The first “safety skirt” was invented in 1875, which buttoned along the seams to help stop the horrible accidents where women were dragged by their horses, and sometimes crushed beneath a rolling mount, during a tumble. This safety skirt later morphed into an apron skirt, which was worn buttoned around the waist, just covering the legs (which were encased in breeches).